We recognise that respecting user privacy over the Internet is of utmost importance. This privacy statement is designed to provide information about the privacy and data collection practices for the site: https://www.ampdj.co.uk which is owned by AMPuk Members Ltd (NI611966) at the address below. Provide feedback to an on-line survey or tell us about an idea or suggestion. Request information to be sent to you. If you choose to give us personal information for any of the purposes above, this information is retained by us and will only be used to support your customer relationship with us. This support will include reminders by email, post and SMS to start/renew your membership at the appropriate times (as part of our contract with you) and member updates (sent under 'legitimate interest') and client enquiries (if applicable and sent under 'contract'). You can cancel your membership or receipt of enquiries/updates at any time from within your members area. Alternatively, you may contact us by e-mail, telephone or post. Our phone number is 0333 577 2247, or you can e-mail or write to us at the addresses below. Your personal information will be kept on our database for 3 years after your membership expires and then deleted (this is required in case of a late PLI claim). You have the right to request a copy of the information that we hold about you. If you would like a copy of some or all of your personal information, please email or write to us at the address below. We do not share, rent, or sell any personally identifying information provided through our Sites (such as your name or email address) to any outside organisation for use in its marketing or solicitations. • If we are asked by a venue, client, insurance underwriter, insurance broker or other authorised person to confirm your membership & PLI cover either in person, by phone, by email or via our automated on-line facility. 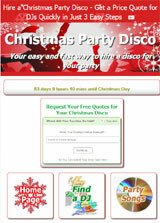 We do provide links to other sites. Other Internet sites and services have separate privacy and data collection practices. 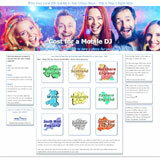 Once you leave www.ampdj.co.uk we cannot control, and have no responsibility for, the privacy policies or data collection activities at another site. We may record images from any function and use these, either on www.ampdj.co.uk, other related sites or in advertising material. Comments made about our services may also be used in a similar manner. If you would prefer an image or a comment provided by you to be removed from the website you should use the contact form on this site. Credit Card Security. We know customers are concerned about credit card security. We use two of the worlds largest funds transfer agencies - PayPal and WorldPay. If you choose to pay online by either method your personal credit card information will not be given to us.